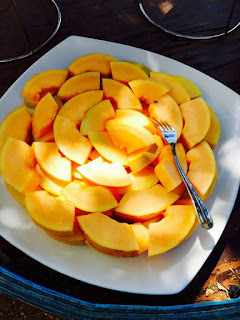 Eating is one of the best pleasures in life and sometimes it can lead to one of the worst nightmares if we don't eat smart and in a balanced way. 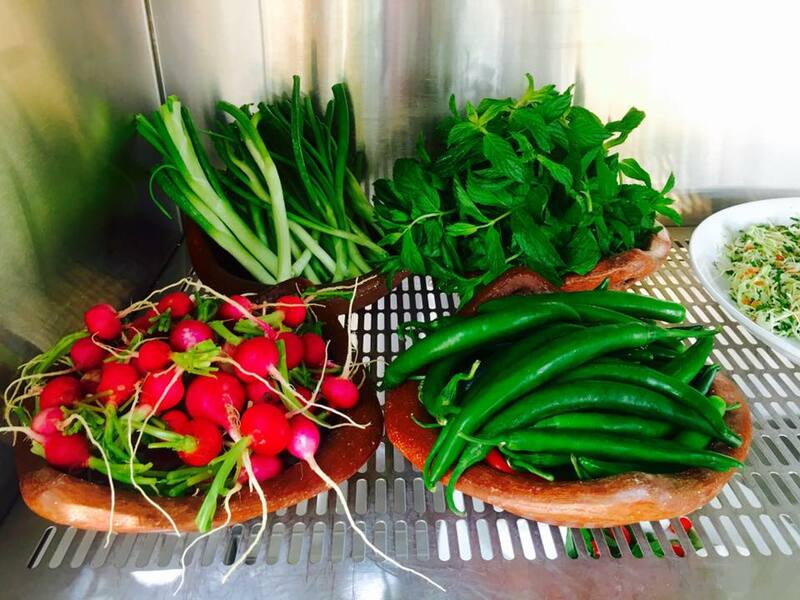 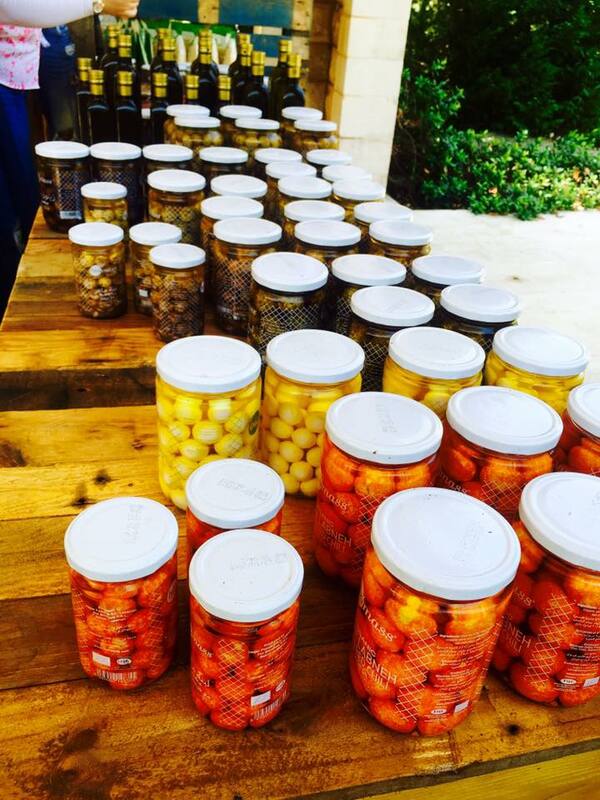 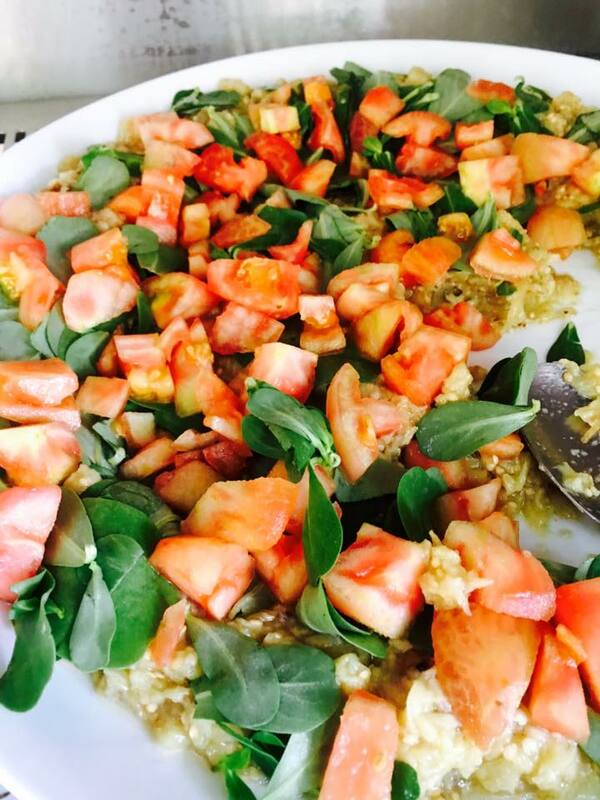 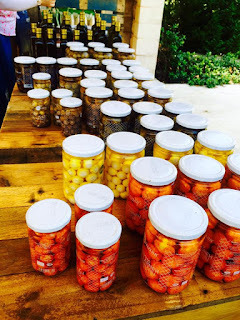 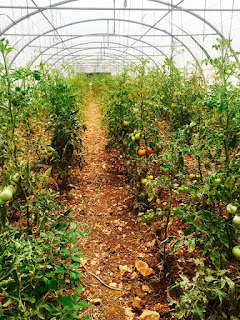 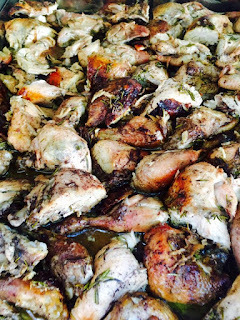 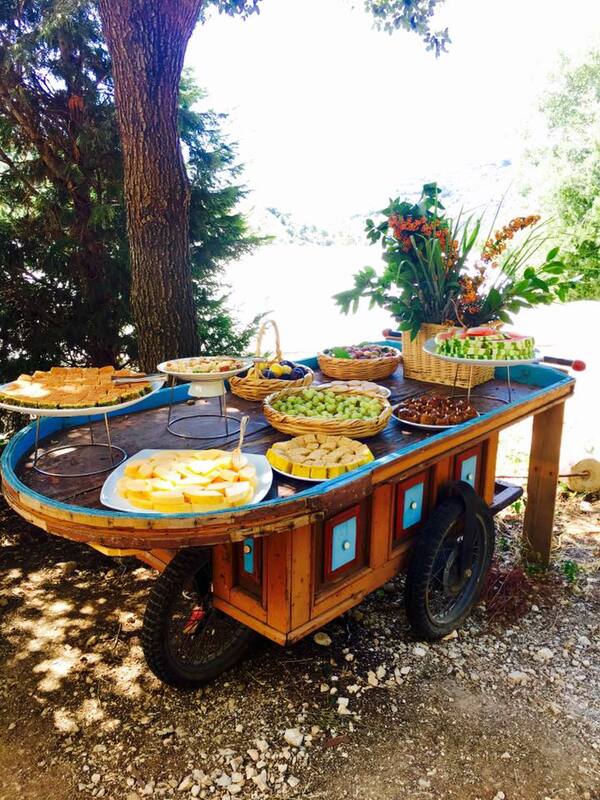 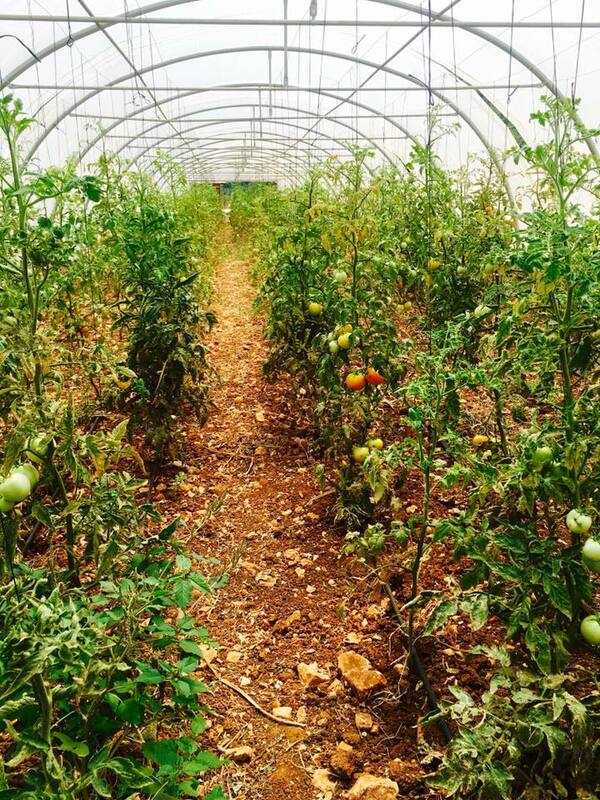 Weekend food outings can get sometimes out of control but it's not the case thanks to Tawlet, an amazing initiative that started in 2004 to support farmers and promote and preserve culinary traditions, rural heritage and the natural environment. 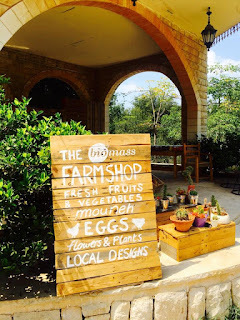 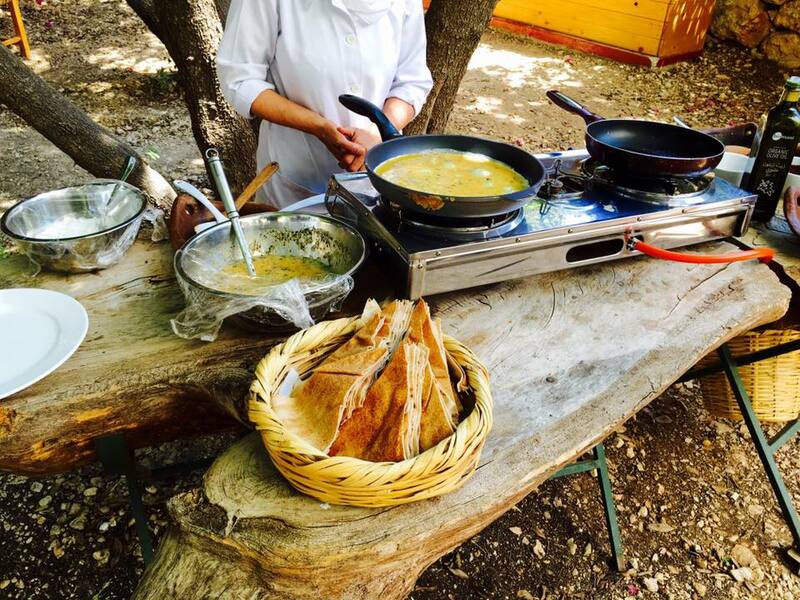 We visited Tawlet Biomass weekend in Batroun Jrabta to try their organic home cooked dishes in a relaxed farm life atmosphere. The adventure starts at 11 am with a fulfilling breakfast of saj, omlette, eggs and refreshing drinks. 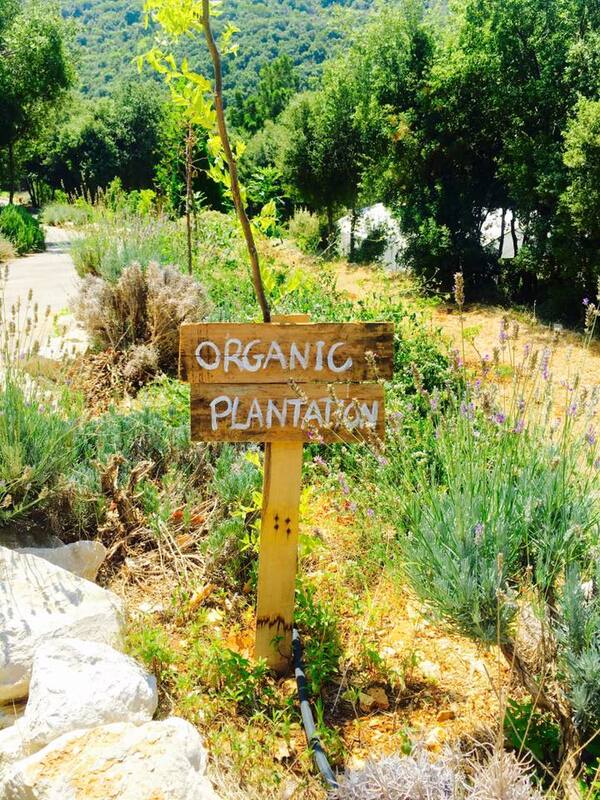 A farm tour is also included to experience the plantation, the hens and take lots of pictures in the magnificent environment. 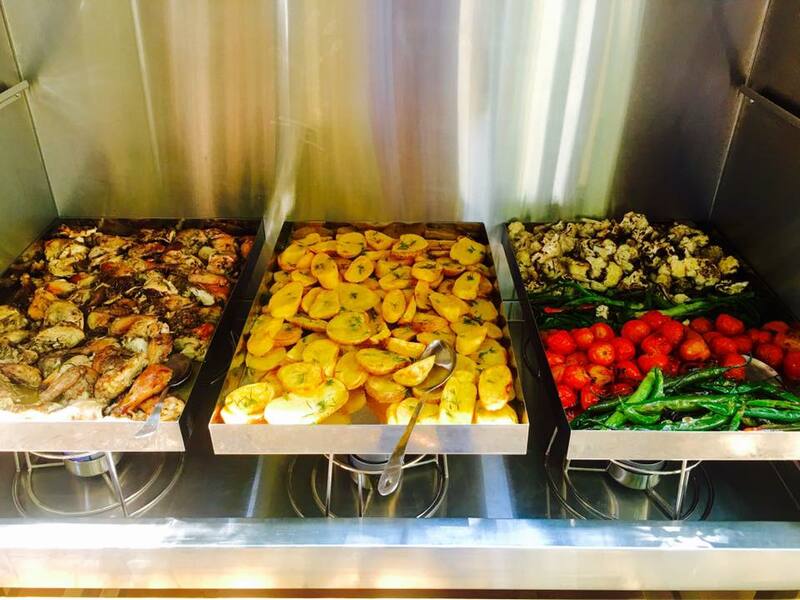 The lunch buffet follows with over 22 dishes at 1:00 pm for 44$ per adult and 22$ per kid including drinks. 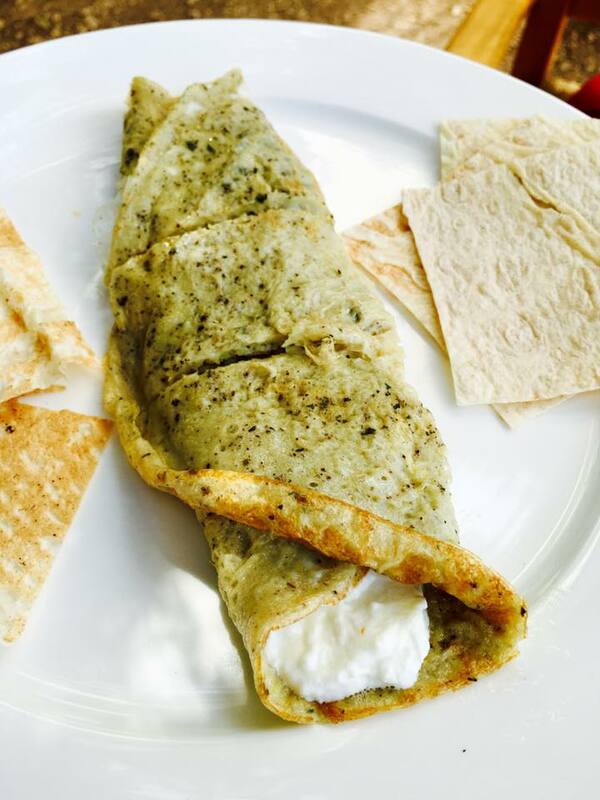 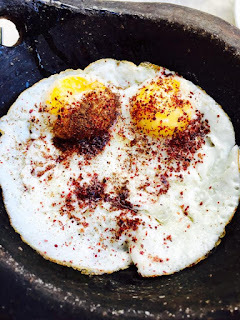 Our journey initiated with the breakfast buffet including delicious Mana2eesh Saj zaatar and keshek, a one of a kind omelette filled with goat labneh and eggs with semmak in a fokhara. 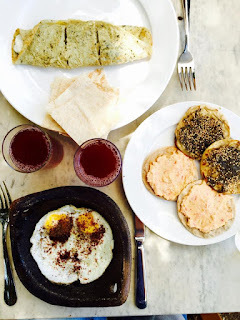 We loved the authenticity of this typical Lebanese breakfast. 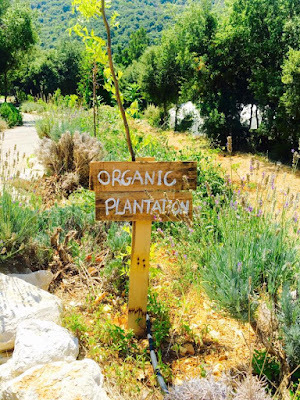 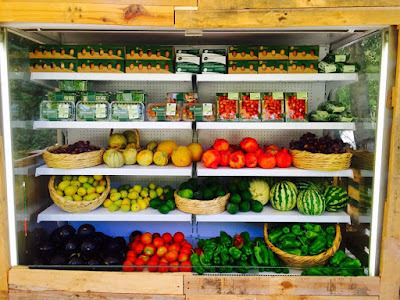 After the fulfilling breakfast we went to tour the domain and see the organic plantations, the cute hens, the nurseries and we finally stopped at the shop where were displayed some of the freshly picked organic fruits and vegetables, organic honey and many other things. 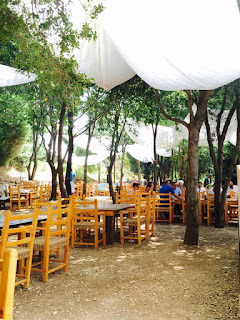 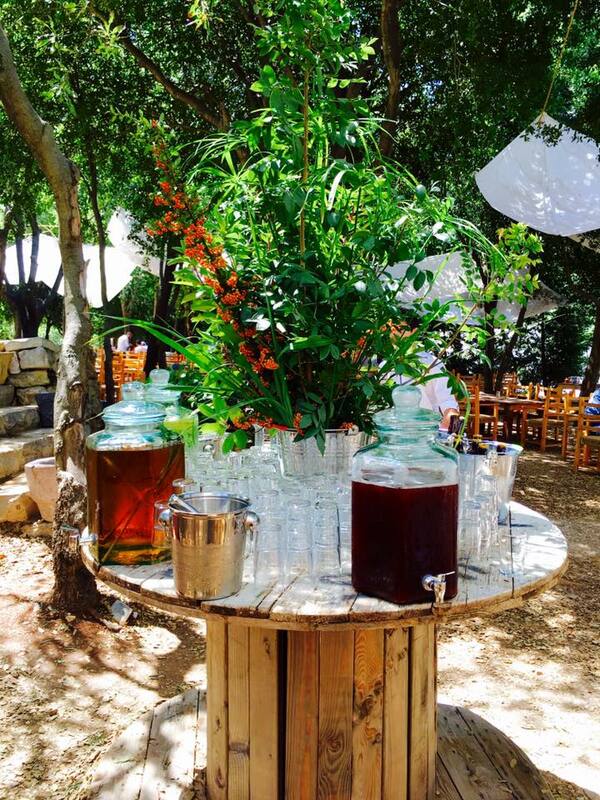 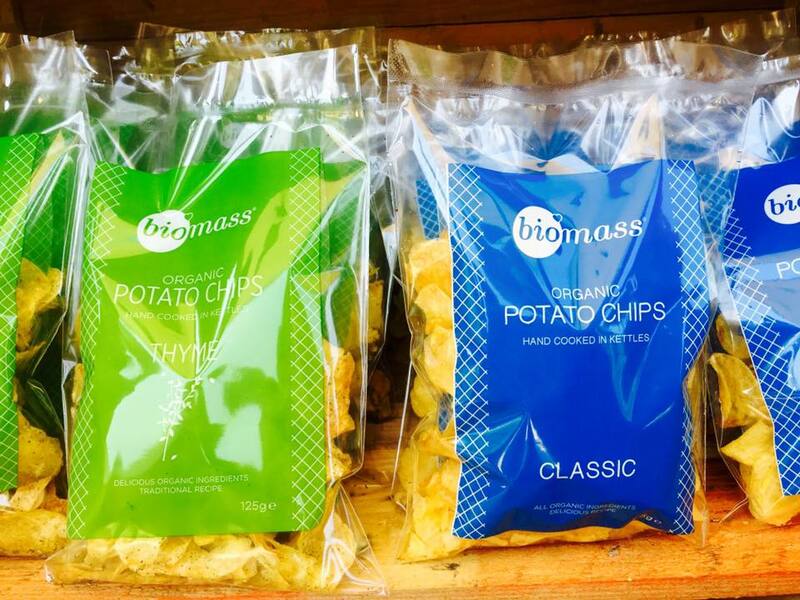 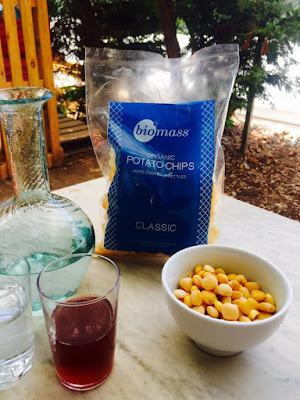 We were then offered organic chips and termos to rejoice in the beautiful green ambiance with some refreshing drinks. We loved the wine infused with sharab el tout. 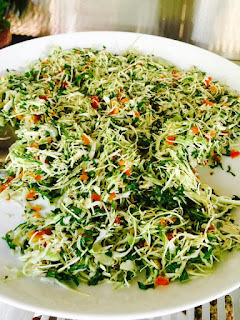 Then came the Lunch buffet with 2 sections: the cold mezza and salads section, and the hot dishes and mashewe section. 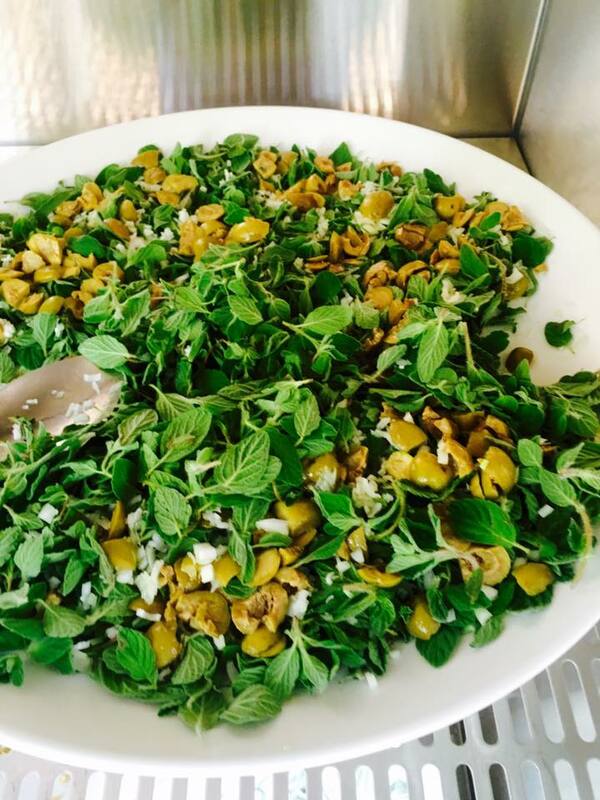 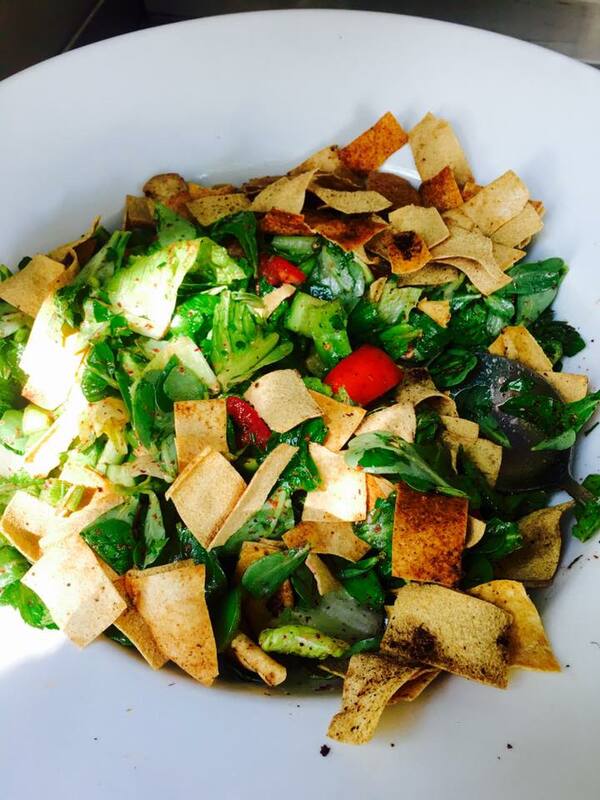 •From the cold section we tried the fattoush, the raheb salad, the malfouf salad, the quinoa salad, the thyme salad and the hendbeh. You can already imagine how exceptional the salads were thanks to the organic ingredients used in their preparation and the balanced sauces. 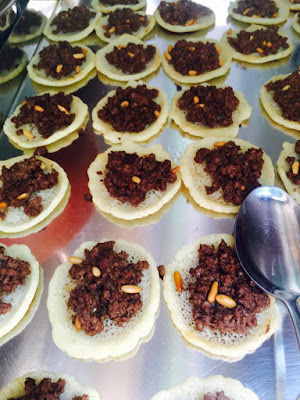 The hommos was perfectly creamy and we loved the khyar w lanan with bakle. 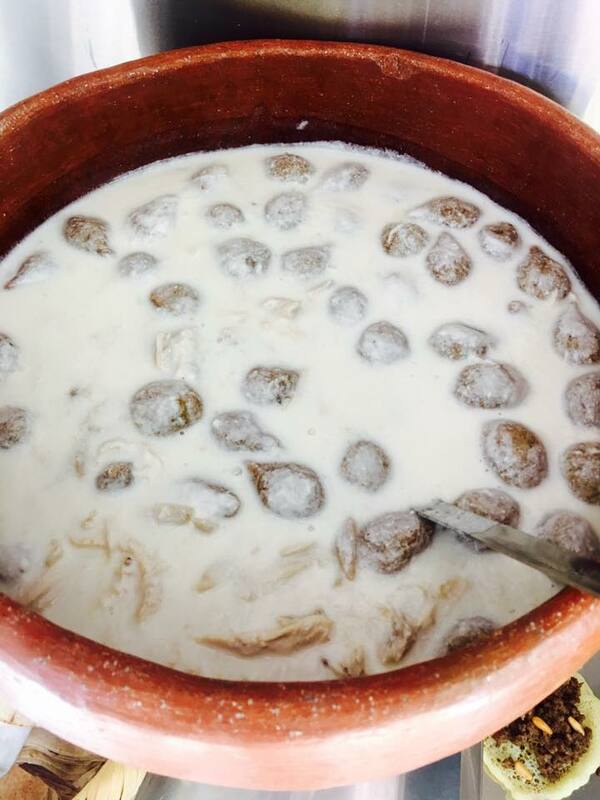 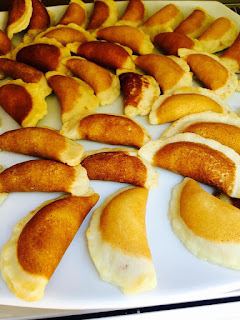 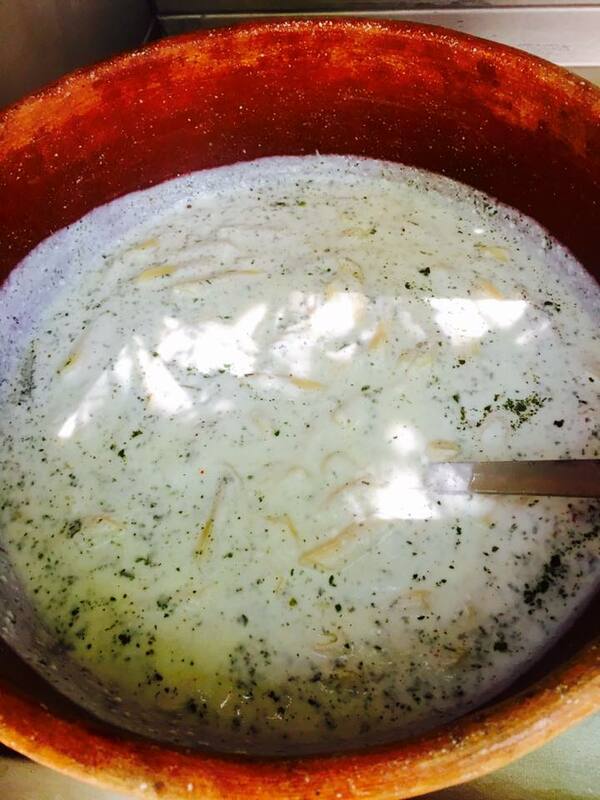 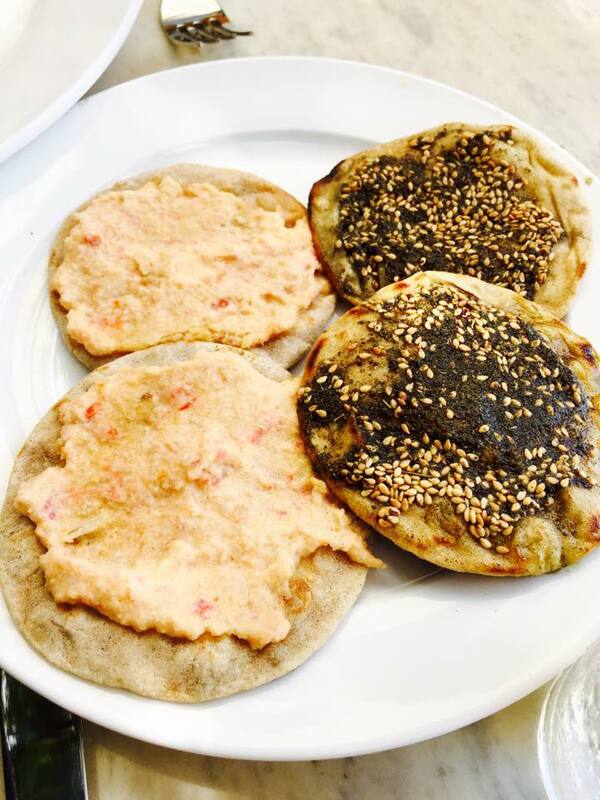 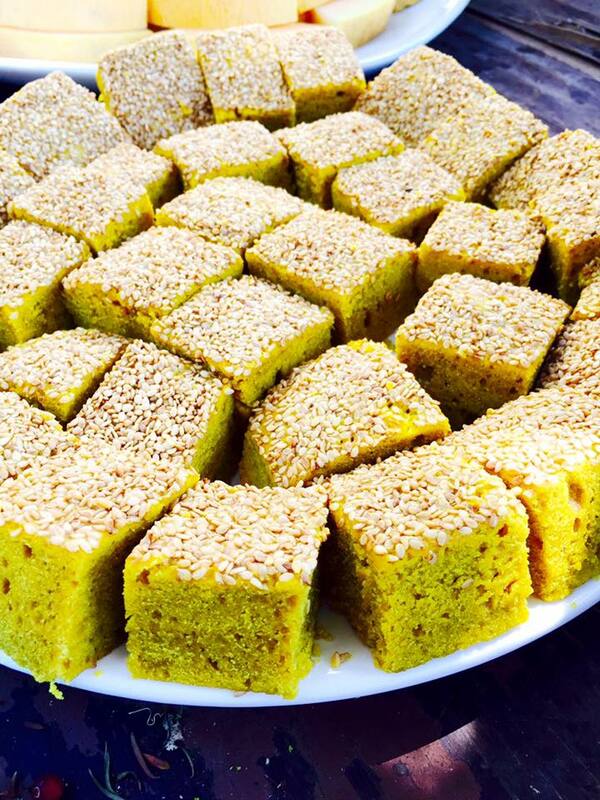 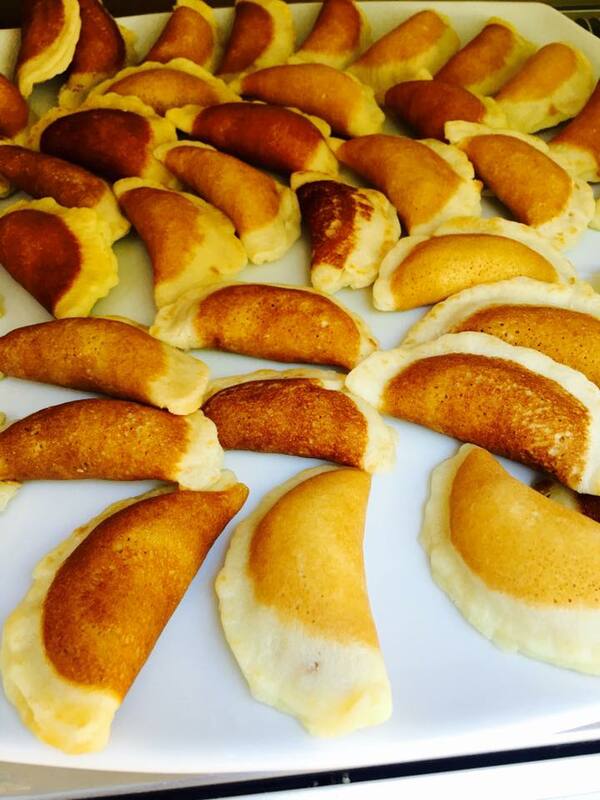 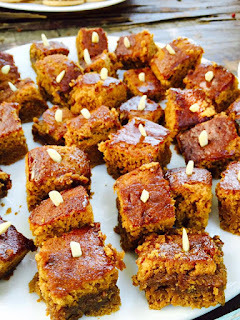 The lahm ajin were prepared with katayef dough which made them phenomenal. 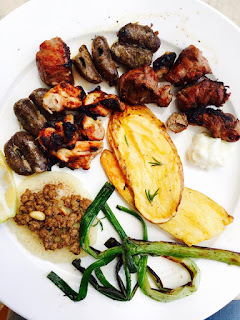 The mashewe were illegally yummy; the lahme was succulent and one of the best brochettes we have ever tried, the makanek were perfect, the taouk was dreamy especially that the garlic paste was also home made and finally the kafta was impressive. After this royal feast, our sweet tooth needed the sweet part. 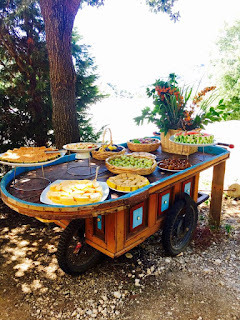 The dessert buffet consisted of organic fruits, cake b debs, katayef b joz, brownies, creme caramel, riz b halib, baklawa, sfouf and maamoul b festok. 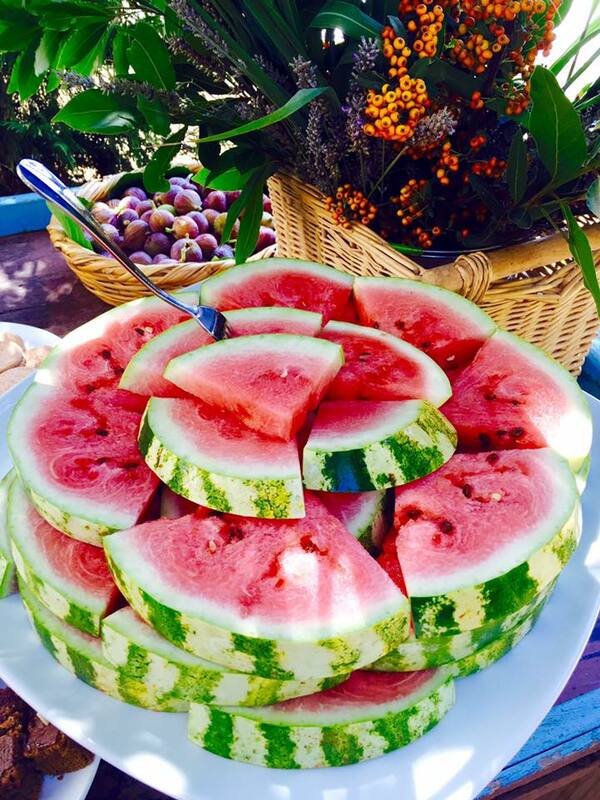 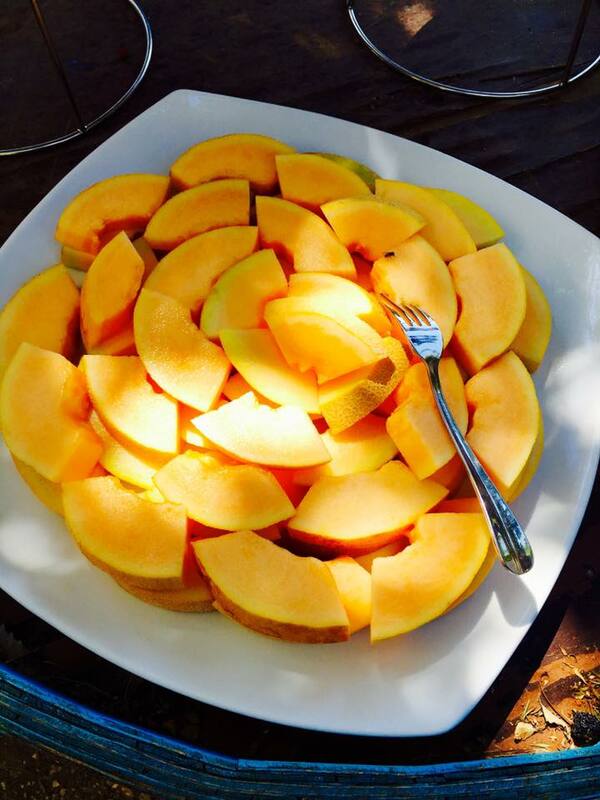 The watermelon and melon felt as if they were sweetened with sugar and they were divine. It's the first time that we prefer fruits over desserts knowing that the brownies, riz b halib, sfouf and maamoul were marvelous. 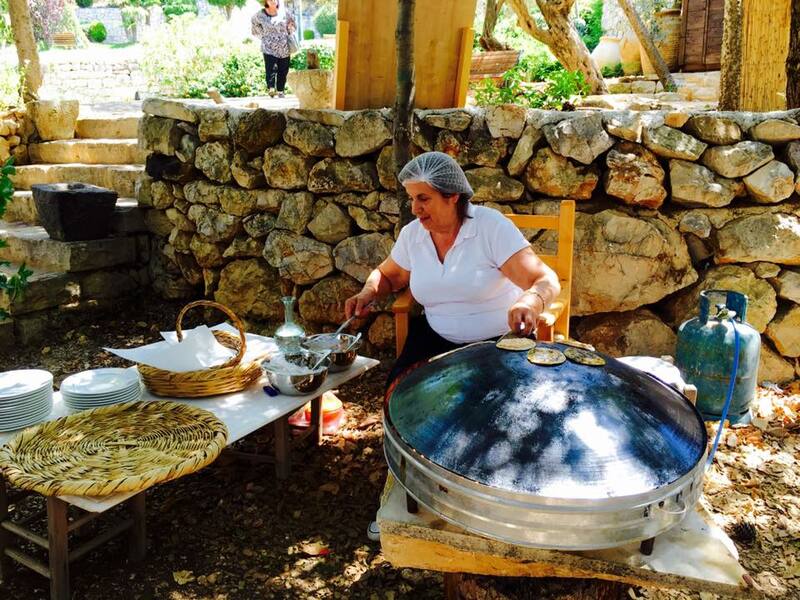 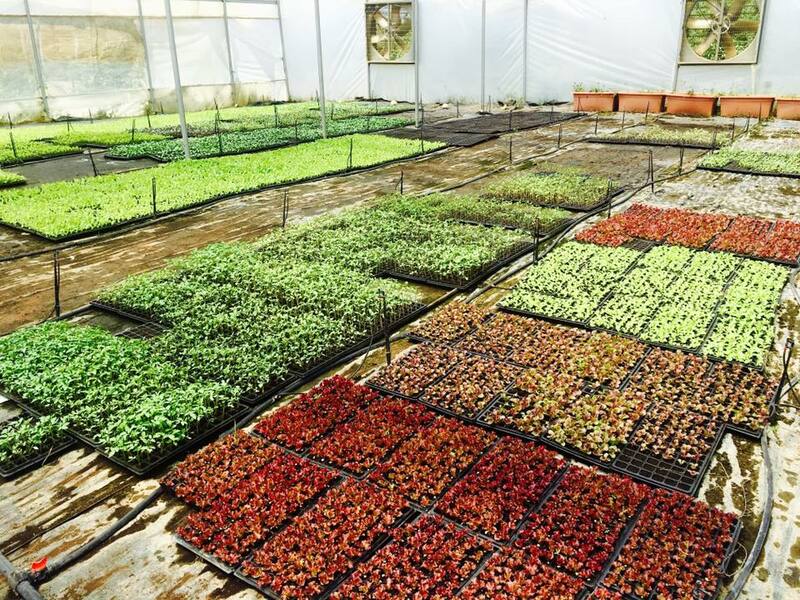 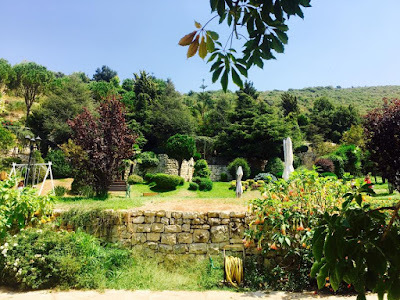 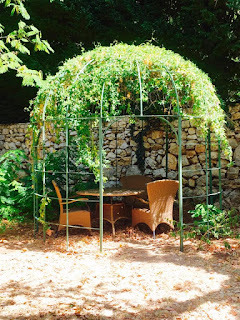 If you are looking to marry mother nature, listen to its soul and rejoice with its gratuities at their purest forms, then you should head to Tawlet Biomass in Batroun Jrabta for a one of a kind experience. Price: 44$ per adult and 22$ per kid including drinks.